Do you want the best punchy bass, small earbuds can produce? 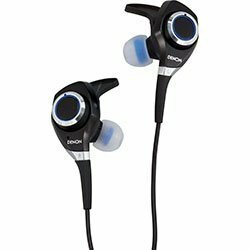 Wondering what are the best earbuds for bass? Keep reading and you’ll find out the top bass earbud models you can get right now. For best over-ear bass headphones click here. … because you won’t stop listening to them. Scroll down to find out which model it is. What to Look for in Top BassheadEarbuds? What to Expect from Bass Earbuds? How to Get the Best Bass from IEMs (in-ear monitors)? Vote for Your Favorite Bass Earbuds! Apart from bass there are also other factors you should look at. How comfortable they are, how durable they are and how much money you have to fork over (best earbuds for the money here). Sound Quality: Some of these earbuds have amazing acoustics with technology that is very sophisticated. Apart from playing deep, punchy bass, you want to hear other ranges as well. Music isn’t only bass. Sound isolation: Because sound isolation is so important for experiencing full and rich sound, many of these in-ear monitors offer great passive protection from outside noise. The quality of the fit is crucial for experiencing deep bass with any IEM (in-ear monitor). Price: Some of the brands have produced earbuds especially for bassheads with boosted bass. It seems that manufacturers have found a new niche where customers are willing to pay for bass emphasized headphones. Durability: Not all headphones are made equal. Some are well built from sturdy materials that last for years and some aren’t. Make sure you know what to expect from the model you’re getting. While “precision enhanced bass” or “extra bass” sounds nice, earbuds suffer one major flaw for producing good bass. The sound is greatly limited by physics and small earbuds just aren’t known for generating head dizzying bass. To get great bass out of IEMs you need to pick the right models. But don’t be discouraged. Small doesn’t mean bad in every case. The models picked here excel in either their deep and punchy or clean and precise bass that will make you smile. Read the reviews of top models to get more detailed info. Don’t forget to make sure you pick the one that best suits your needs even if it’s not the first recommendation. All models can be used by phones, tablets, MP3 players and any other device with a headphones output. Deep bass comes extra handy in the gym, which is one of many possible ways of using these. For more gym options see best wireless headphones for working out. To get the best bass out of any IEMs (in-ear monitors), you need to have an airtight fit. Without a proper fit, you won’t get strong bass no matter how big the earbud drivers are. Therefore it’s absolutely crucial to get a good fit. It would be pretty futile to try and explain how to achieve an optimal fit with words. The best thing we can say is just try out different ear tips and positions. You will notice when the bass comes alive. Before you judge any earbuds and their lack of bass, make sure to thoroughly test different positions and ear tips. Sometimes changing ear tips completely changes the sound. Test them all. Sony MDR models are well known to be good products, but these are so good you won’t stop listening to them. These are pretty hard to get in a local store since they are imported from Japan but worth every penny. Not to mention, exclusivity gives you special bragging rights. 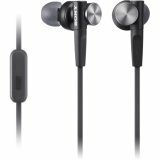 Sony MDR XB90EX are uncontested winners for 1st pick of best bass earbuds. The combination of all the features, good build quality, and extreme sub-bass will make you smile. Even though they are quite bulky the lightweight design helps with keeping a proper fit. The weight isn’t a problem and once you find a good seal you don’t have to readjust it many times. Keep in mind that a tight seal is very important for hearing the bass with any earbuds. If you pick the wrong ear tips and don’t get a proper seal, you won’t hear much bass even with these earbuds. Passive sound isolation is also very good, especially with tight fitting ear tips. Put them in and enjoy your music in peace. The bulky design might seem uncomfortable, but its in-ear design fits into ears nicely. You can see the earbuds sticking out of your ears, but it’s not a real issue. It just looks like you have serious earbuds in your ears. Which you do. The only uncomfortable position might be trying to sleep on the side with them. Because they are simply sticking out of ears too much. The build quality is good and doesn’t have any critical design flaws as is common for Sony products. You can easily carry them around on your daily errands and throw them in your bag. They should last long enough. The tangle-free wires are coated in rubbery plastics and don’t have any major weak points. 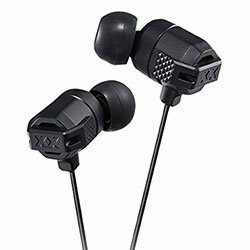 Unfortunately, there is no model of XB90EX earbuds with remote or microphone, all you get is earbuds with wires and a 3.5mm audio plug at the end. This isn’t such a major problem as the earbuds themselves are great. You’ll just have to do your calls with your phone instead. The bass is so clear and precise if you put the volume high enough, it feels like they can rupture your eardrums. Technically speaking, that can’t happen, but listening too loud for too long does have an effect on your hearing. So be careful not to overdo it. The bass alone is worth the price. These Sonys will make you feel like you have a subwoofer in your head, especially if you power them up with a quality amplifier. Sub bass in these is really something you can’t experience with any other earbuds of similar price range. For the money spent this is as much bass as you can get out of earbuds. In other words, if you want high-quality earbuds with deep sub-bass and clean mids and highs, for an affordable price… it would be a sin not to get Sony MDR-XB90EX. In case you’re a more casual user but still want good bass and clear sound, check Sony MDR XB50AP below. If you’re looking for brutal bass, Denon AH-C300 Urban Raver might be for you. These earbuds are a bit special in their design and sound signature. The price is pretty high as well, but overall these are one of the best earbuds a basshead can have. The earbuds are a bit big and bulky. But thanks to the light materials, don’t weight too much to break the fit. You have to first play with it a bit. Finding the right combination of ear wings and ear tips takes some testing. Once you do, then you are ready to go into basshead’s bliss. You get a lot of ear tips. 6 pairs of silicone tips and a pair of Comply foam tips. Additionally, you also get 3 sizes of ear wings or stabilizers. Trying all the combinations can take some time. When it comes to passive sound isolation, Denon AH-C300 Urban Raver do good as well, as you would expect from in-ear monitors. Once you find the right combination of ear tips they are quite comfortable. Wearing them for hours, usually, isn’t irritating. But their big size becomes a bit annoying after a while. If you have smaller ears you might get irritated after a couple of hours. If you’re used to wearing IEMs you’ll be perfectly happy with them. As long as you don’t mind looking a bit “geeky” with earbuds sticking out of your ears. The casing is mainly made from plastic. They could use more metal considering the price. The wires are better built with double-coating and tangle-free protection to make sure they last a long time. In our case the cord was quite happy to tangle, maybe we just got a bad model. The 3.5mm plug is right-angled, great for longevity. The earbuds have an in-line remote called “Mini Control Wheel” which is a nice feature once you get used to it. You also get an in-line microphone for making hands-free calls. They’re compatible with iOS devices, but all functions don’t work on the Android. On Android, you can still use the mic and play/pause function, but volume changing doesn’t work. It’s a shame, really. These are the words to best describe the sound of Denon AH-C300 Urban Raver. Bass is extremely emphasized and overpowers all other ranges. Treble is also slightly emphasized but doesn’t create any annoying peaks. The middle range is lacking in pretty much all songs. If you’re a basshead you’re used to this sound signature anyways. With these earbuds, non-bassy songs will sound bassy. Hip hop, Techno, Dance and all other bass-heavy genres of music sound great. A cool thing about the sound is that it doesn’t lack detail in the midst of all the thumping lows. This is something only a few bass heavy headphones are able to produce. Overall, for the biggest bass junkies who care only about the bass and nothing else, Denon AH-C300 Urban Raver is a great choice. Yamaha has created some great earbuds and headphones in the past and the EPH-M200 are one of them. These are high-quality bass-heavy earbuds that won’t leave you cold. You can only wear them one way, the regular way. These are half-earbuds and the over-the-ear fit is uncomfortable. The fit isn’t the best because the earbuds are quite bulky. The wires tend to produce microphonics. Always use the shirt clip-on to avoid it. Once you find a proper fit it’s good for a while, but you have to keep readjusting it. This is a bit bothersome but not a deal breaker. Sound isolation is about average for IEMs, so it’s good in general. You’ll still be able to hear some traffic around you if you’re using them in the city. Comfort could also be better, but it’s good enough for the everyday user. The beta-titanium tubes that are supposedly great for comfort don’t seem to improve comfort much. Don’t be mistaken, these earbuds are still comfortable to wear for long hours. You’ll just have to readjust them a couple of times in between. The casing is all plastic and not made from metal which we’d like. There also doesn’t seem to be any strain relief where the wires come out of the earbuds. Generally, these earbuds look pretty average when it comes to durability. The earbuds come with an in-line remote and microphone. The remote is compatible with iOS but has limited functionality on Android (only the play/pause button works). Hands-free calling is easy and your voice will generally be well heard by the caller. The sound signature of Yamaha EPH-M200 is very bassy. The lows are big and deep, even reaching to sub-bass ranges. 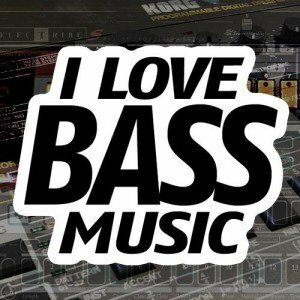 Bass overpowers other ranges in all bass heavy songs. You can easily say these are proper basshead earbuds. Listening to bass-light music adds that fun and dynamic factor to it. Generally, these earbuds improve the bass in any song. Treble and mids, on the other hand, are a bit timid. They’re mostly overpowered by strong bass, but still, do a decent job at making music lively. The treble has no problems with sibilance. Soundstage is also very intimate and small, which is a bit surprising considering EPH-M200 use 15mm drivers. 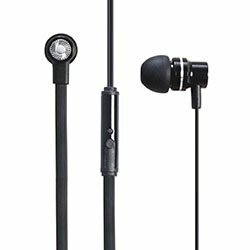 Overall, Yamaha EPH-M200 are one of the best basshead earbuds you can get right now. You get solid comfort, in-line remote, hands-free calling and deep bass that will transform your music. PumpAudio V1/V2 or Pumps as they are also called are creating a following. Someone branded these earbuds as “Beats slayers” and we understand why. The main purpose for these earbuds was to create really hard hitting bass for bassheads. They did a good job. For a price of around $100 you get a pair of earbuds with a lot of oomph. The V1 version doesn’t have any carrying case and is without memory foam tips that are almost a must have with the Pumps. In the V2 version, you also get a clamp carrying case and 3 pairs of memory foam ear tips. If you’re looking for premium basshead earbuds, choose Pump Audio. With memory foam tips, strong, punchy bass, and great durability, they have everything you need. Famous Sennheiser earbuds that offer a lot of bass for the price. 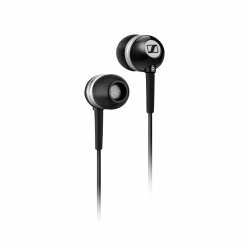 These Sennheisers provide powerful, bass-driven sound with crystal clear clarity much better than any similarly priced earphones. Sennheiser stands for quality which lasts. This specialized German company has made another great product. 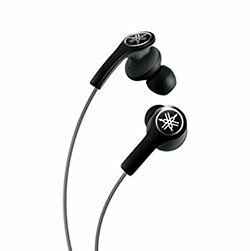 In this price range, you’ll have a hard time finding better earbuds that produce the clean, precise mids and highs with punchy bass. CX 300 II just do a better job. One side of the wires is longer than the other (J wire) if this annoys you avoid them. Provided are different sizes of silicone ear tips to allow for a customized fit. The earbuds are light and easy to fit into ears with a good seal. In case you want the most out of them, some Comply foam tips do a good job at improving the experience. Passive noise isolation does a good job depriving your ears of background noise and can be ranked better than average. Because of their lightweight design, these are very comfortable. The earbuds aren’t too big and you can fit them even in smaller ears. Keeping them in ears during work or watching a movie won’t irritate your ears. A product well done by Sennheiser. Build quality is high as is standard with all models of this German brand. Sure they are completely plastic, but they’re still sturdy enough to withstand a lot of everyday abuse. The L-shaped and reinforced 3.5mm plug won’t give out easily, it’s a solid design. You can easily use these for your workouts, your job commute or just for listening at home. The CX 300 II Precision Enhanced Bass earbuds don’t have any special features. You get the earbuds, wires and a 3.5mm plug-in, 3 sizes of silicone ear tips and a small pouch. The basics. Plug them in your phone, MP3, tablet or computer and you’ll always get a clean sound with strong bass. Sennheiser CX 300 II Precision Enhanced Bass have more of a balanced sound signature than other bass earbuds here. The bass is still emphasized but doesn’t have the same overpowering oomph like with other models. The treble and mids are less overpowered by bass as with comparable basshead models. They’re crisp and produce good details. If you like a bit more bass, but also like clear highs and mids, these earbuds are for you. Bass is still overpowering and even muddy at times, but this is what bassheads usually like. For the absolute bassheads, you might want to look at some other models first. For a great combination of everything earbuds are supposed to have, plus clean highs and mids with strong bass, Sennheiser CX 300 II are for you. These are the cheaper sibling of MDR-XB90EX. While not as good these earbuds still play great bass tones. It doesn’t matter what kind of music you’re listening to, you’ll hear the bumps. If you don’t want to pay too much money and like Sony products, these earbuds don’t disappoint. 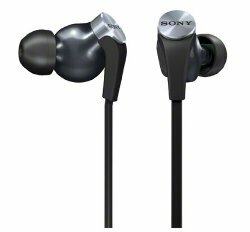 In fact, they are one of the best Sony earbuds on a budget. Getting an airtight fit is easy. The design isn’t any different from many other Sony IEMs (in-ear monitors). You get used to their design fast. The quality of the fit depends on the ear tips you’re using. Get the right size for your ears. Or better yet, get premium Comply tips and experience MDR-XB50AP at their best. You get 4 different sizes of silicone ear tips, enough for a regular user. Passive sound isolation is good as you’d expect from any in-ear monitors. You will still hear some background noise of course, in case you’re looking for maximum silence in earbuds, look at best isolating models here. Just like the XB90EX these are bulky and may be uncomfortable for some people. If you don’t care about looks too much and can use bulkier earbuds, then you’re a perfect person for these. The comfort is good as long as you don’t try to sleep on the side with them. The earbuds stick out considerably and it’s impossible to get a comfortable position lying on the side. Sleeping users, beware. Made out of quality materials with a durable design that is going to last even if you take sub-par care of them. Sony is known for making durable, high-quality products and these aren’t any different. The cable is flat, which helps keep it untangled, but rather narrow so it’s hard to see the flatness of it. Strain relief is decent enough so you don’t accidentally ruin the IEMs on your first pull. Did we mention these have gold-plated, L-shaped plug? Yes even for such a low price, you get the best contacts for sound which helps with sound quality. The in-line microphone could be better, but at this price, it’s just a bonus so you can’t expect too much from it. While it’s still usable to make calls, the sound recorded is not always crystal clear. The in-line remote, compatible with iOS and Android, has the play/pause and call functionality. You can change songs with it too, 2 quick clicks for forward, 3 for backwards. You get a carrying pouch in the package, but it doesn’t offer much protection from physical abuse, still useful for protecting the earbuds from moisture. The overall sound signature is bass heavy and this cuts into the details and richness of mids and treble. If you’re a basshead you probably don’t mind. To put it into one sentence, they have average sound quality with great bass so basically, they’re a perfect fit for anyone looking at affordable bassy earbuds. 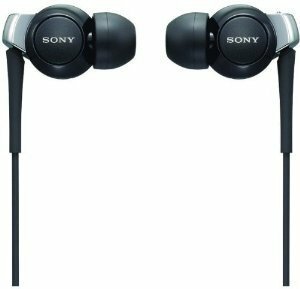 For a very affordable price you get durable Sony earbuds that play great bass, have an in-line mic & remote and gold plated plug-in. In conclusion, Sony MDR-XB50AP are hard to beat, this is why they’re one of the best bass earbuds on the market right now. JVC ash replaced the well-known FX1X model that has been very popular with bassheads with HA-FX102 that’s even better. The updated earbuds don’t disappoint. They are very similar to the predecessor, but this time, you can get them for a dirt cheap price. For everything a basshead wants for as little money as possible, get these. The fit is pretty good considering these earbuds are rather big and bulky. You might need to adjust the fit every once in a while, but this isn’t a deal breaker. The 11mm drivers in a budget model are rare to find, but bigger drivers have to go somewhere. Sound isolation is average for IEMs, which makes it pretty good overall. For better passive isolation get some Comply foam tips, they perform the best. When it comes to comfort the bigger size of ear cups don’t bother, as long as you aren’t annoyed by having to adjust them once in a while. The weight doesn’t pull them out too much, but it does happen. Generally, they are good enough to wear for hours, just don’t expect top-notch comfort from them. These are a budget model after all. The build quality is pretty good considering, they’re bigger and heavier than your average earbuds. All this heft makes them more durable. You can find better-built earbuds of course, but it would be wrong to say they are built badly. Are you a runner? Get top runner headphones here. The cords are pretty thick and the L 3.5mm plugin seems solid, overall a good job by JVC. They don’t have a microphone or a remote, but you have a nice color selection to choose from. So you can pair them with your personal clothing style. Considering everything that you get with HA-FX102, this is already a great value for money deal. Not considering the mic or a carrying case. The sound is where JVC HA-FX102 really shine as they produce a ton of bass per $ spent. The fun V shaped sound signature comes alive in every song. The bass is strong and deep, overpowering the mids, but not treble. Highs are quite detailed for a model like these, though you can find better. There is also some sibilance present in certain pitch intensive songs. The bass focuses on the deep low frequencies more than the sub-bass. You can even hear a bit of a rumble, which is very rare for such cheap earbuds. Note: Top budget headphones here (over-ear & on-ear). Keep in mind that the bass needs some burn-in before it finally comes alive. Therefore don’t expect much bass when they’re brand new, it needs some time to develop. Overall, the JVC HA-FX have fun, deep bass sound packed in a solid casing that you can get for an unbeatable price. If you’re a basshead, but short on cash, get these. Check out similar articles like top Bluetooth noise-cancelling headphones. We want to know what you think about this selection. Should we add some new models? Share your opinion with us in the comment section below and make sure to include why you think your model should be added to the list. Growing the best list of bass earbuds with your help will be much easier. Subscribe and like the website for future updates.